Based on reviews from 44,456 users. Learn how our rankings work or see our guide to Skechers sneakers. Updated Apr 2019. Compared to other leading footwear companies, Skechers is relatively a young brand. The California-based company, founded by father and son Robert and Michael Greenberg in 1992, has proven that despite the short span of time, their keen eye to spot niche markets, retail and marketing insights, can get the Skechers sneakers noticed worldwide. The company initially started releasing trendy and casual style Skechers sneakers aimed primarily for 19 to 40-year-old women and men. With their headquarters in Manhattan Beach, California, Skechers USA, Inc. has been at the forefront of design and innovation in the footwear industry for more than 25 years. Known for their vast array of fit and designs, Skechers sneakers has a catalog that spread from running to golf, walking shoes to work shoes, to name a few. Launched in 1993, the Skechers Chrome Dome was the company’s first hit regarding The androgynous and pre-cuffed Skechers sneaker had thick white soles and pre-washed jeans upper that came in unisex designs. It has become the official urban street boot of the ‘grunge’ youth generation of the1990s. The chunky-soled Energy line has been around since the late 1990s. 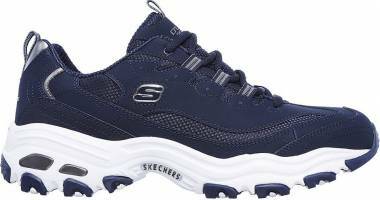 The Skechers Energy sneaker has a typical thick sole that has seen several upper designs numbering over 100 styles and colors at first mostly appealing to younger girls. There are laceless pull-on, sling-back and roller-skate versions of this Skechers sneaker once popularized by pop icon Britney Spears who appeared in these shoes in her first endorsements with the company. Another variation of this famous silhouette is the Skechers Energy lights sneakers that glow in the dark with chargeable lights in varying colors. 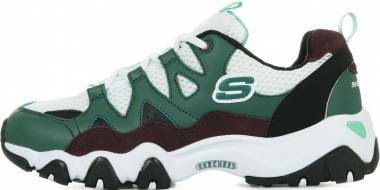 Although a controversial design that has resulted in millions of losses the company, Skechers Shape-ups revolutionized fitness footwear with its more substantial and curved sole that culminated in overwhelming sales of this sneaker popularly endorsed by Kim Kardashian. The Skechers Memory Foam as a material has been used in more than 100 other designs of the company. The Skechers sneakers in this line would usually have air-cooled or gel-infused memory foam for better cushioning and comfort. Skechers sneakers have the option for a Relaxed Fit that sets the upper a little bit loose with a roomier wearing experience. The versatile, sporty style of these sneakers guarantees its wearers that they will get freedom of movement in this Skechers sneaker. Released just in time for the holidays in December 2011, the GO Run line from Skechers revolutionized the performance footwear division of the brand with award-winning design. The Skechers GO Run shoes are lightweight intended for those who log long hours and miles running as its materials can take a pounding on the road or tracks. The fit of the GO Run shoes is super with superior cushioning at an affordable price. The GO Walk footwear collection includes slip-on and lace-up shoes. The GO Walk was launched in 2015 with lighter and breathable materials intended for all-day comfortable walks. Endorsed by champion runner Meb Kaflezhigi, the GO Meb is intended for performance runners who want a sleek, snug and fast footwear for racing with signature GO Knit material for the upper and 5Gen signature cushioning. With street-style designs gaining popularity in the past years, the Hi-Lites is ready for the casual sneaker loving wearer. As part of the Skechers Street collection, the Hi-Lites have leather or synthetic upper materials, contemporary detailing, and flat soles ready to take on the streets. Celebrities like Camila Cabello have been endorsing the Hi-Lites that bear similarity to other low-top sneakers in the market today. Expanding their footwear offerings, Skechers sneakers have only the wellness of their female customers in mind with the Skechers YOU, a new footwear collection combining lifestyle and wellness for a versatile, active, comfort, style and flexibility with the YOU by Skechers sneaker. 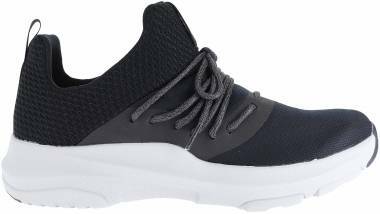 The shoes usually involve soft woven mesh fabric and super flexible knit fabric upper in a slip on sporty walking and comfort athletic shoe silhouette. With many shoe brands launching their charity line, the California-based company also started their collection of Skechers sneakers in slip-on, and lace-up designs that promise that every shoe sold ensures a counterpart donation to charitable organizations and causes. Mark Nason collection was launched in early 2000 by its namesake and Skechers sub-brand founder Mark Nason. In recent years, with Nason entering into Skechers as the American brand’s head of product development, the same level of high-end style has been retained in most of the designs. The classy designs of the Skechers sneakers in this collection are usually high-end with the brand evolving into Mark Nason Los Angeles as a subsidiary of Skechers with an expanded assortment of products. Skechers Street is an edgy sneaker collection inspired by the urban street scene. Designed in Los Angeles, the birthplace of Skechers Sneakers, the line takes the hottest shoe trends with the street-ready Some of the famous shoes in this collection include the Hi-Lites series. Some of the sneakers are known for their fashion-forward embellishments and metallic overlays. Skechers sneakers were given and Japanese anime treatment with this collaboration. The first shoes to don the famous animation series’ intellectual property. The Skechers sneaker collaboration is featured in six colorways, drawing inspiration from a selection of One Piece characters like Luffy, Sangji, Zoro, Chopper, Law, and The Japanese anime-inspired silhouette highlights the wavy outsole with eye-popping colors and design while also assuring superior comfort through an Air-cooled Memory Foam insole. The shoe was released by Skechers Korea as an Asia exclusive design. Finding the right Skechers sneakers for your type of feet is an often overwhelming task especially for customers of different fit and foot width. Some others would prefer a high-top or low-top Skechers sneakers. Other customers, however, would prefer buying based on the actual purpose of the shoe. Majority of sneakers produced by Skechers are low-tops. With collars just a few notches below the ankle, the versatile low-top Skechers sneakers are easy to style, guarantees freedom of movement, affordable and lightweight. Among them are the famous walking and running shoes like the Skechers GOrun, GOwalk and Breathe Easy shoes. Over the years. Skechers has dabbled in designing mid-top shoes for those wanting a little bit of ankle protection but not too high to restrict movement. These mid-top shoes include the Skechers Skech-Ascent Spike Fork, and Skechers GO Step Lite Ultrasock Mid. Extending noticeably beyond the ankle, the high-top Skechers sneaker provides support and protection. What it gives regarding comfort, the often boot-shaped high top designs often restricts movements and not as versatile as low-tops. Some of the notable high-top kicks from Skechers includes the Depth Charge – Drango. 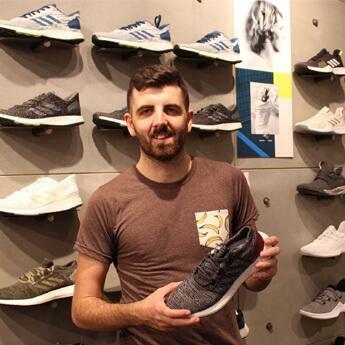 Knowing fully well that every foot is unique, the brand has developed a signature fit system to give their customers the best comfort out of every Skechers sneaker possible. To maximize the comfortable fit of wearing Skechers sneakers, the company has shoes in several fits from classic, relaxed to wide. Intended for those with traditional fit requirements, the Classic Fit has a medium width, D for men and B for women, with a snug and even fit from heel to toe. Skechers sneakers that fall into this category include the Porter - Ressen, Larson - Norven, Boyar - Molsen, and other regular classic-styled sneakers of the brand. 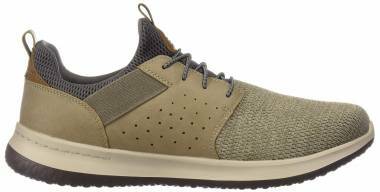 Made for those who want a roomier toe in a Skechers sneaker while retaining a medium fit in the heel, the Relaxed Fit has a medium D/E width for men and B/C width for women. Among the Skechers sneaker that has an option for a Relaxed Fit include Skechers Empire - Game On, Breathe Easy - Fortune Knit, Skech-Flex 2.0, and Elvino-Lemen. For those looking for a Skechers sneaker with loose fitting over the entire shoe, the Wide Fit option is the best option. The Wide Fit shoes have a 2E and 3E width for men and D width for women. Shoes that have a Wide Fit option in fitting include Skechers Go Walk Pump, Equalizer 2.0, and Smart Wide Fit Casuals endorsed by Kelly Brook and Howie Long. Intended for those looking for an even loose fit all over in their Skechers sneaker, the Extra Wide Fit gives enough room and space for the feet to move inside the footwear for maximum comfort. The Extra Wide Fit Skechers sneaker has a 2E or 3E width for men and D width for women. For the billion-dollar American shoe company, Skechers sneakers are generally categorized into two divisions, Lifestyle, and Performance footwear. But performance and lifestyle kicks are varied that the brand has been classifying some of its shoes based on actual use from casual and street-smart Skechers sneakers to sports shoes such as golf, running, walking, working and even hiking boots. 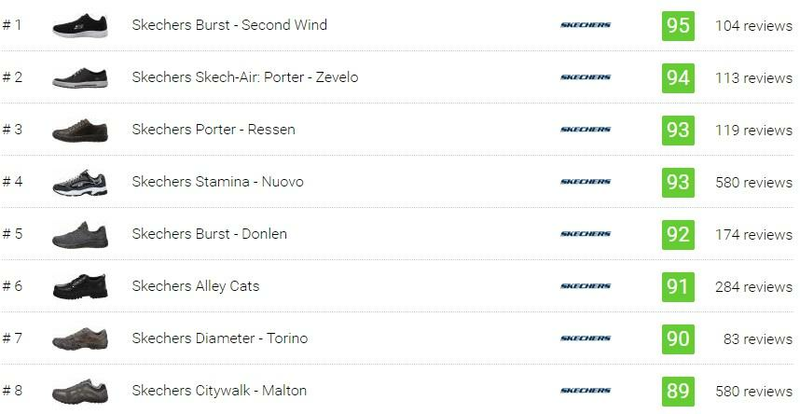 Specially engineered for maximum running performance whether, in a marathon, sprint, fitness runs on the track, road, or on the treadmill. Anchored by champion marathoner Meb Kaflezhigi as its main endorser, among the favorite shoes in this line include the GO Run 5, GOmeb Speed 4, Ultra Road 2, and Forza 2. Built for maximum comfort during fitness or leisurely walks, the GO Walk range features breathable and lightweight materials in laced-up or slip-on footwear options. Over the years, the GOWalk line has become one of the most popular and bestselling Skechers sneakers. Diversifying the footwear options of the brand, GO Golf shoes have been offered by the brand since 2014 with several notable releases that include the GO Golf Elite worn by professional athletes like Wesley Ryan. Since its invention in the 1960s, Memory Foam was used mostly in space technology. However, over the years, Memory Foam has been used in many products from mattresses to cushioning including the insoles of shoes. With a considerable portion of Skechers’ sneaker collection using Memory Foam technology, it has helped a lot in bringing comfort to the next level.The Memory Foam technology used in Skechers sneakers are concentrated in the insoles for a more personalized fit as the foam adheres to the contours of the feet. Skechers Memory Foam technology is mostly Air-cooled Memory Foam used in shoes like the Burst, Gratis - Bungee, and Ultra Flex - Bright Horizon. With more customers wanting Skechers sneakers to be more loose and roomier. The Skechers Relaxed Fit option was released for several casual sneaker designs that include Skechers Empire Game On, Arcade II, and other shoes under the Skechers Work collection catering to healthcare, construction, and other professions. With many shoe brands launching their charity line, the California-based company also started their collection of Skechers sneakers that promise that every shoe sold ensures a counterpart donation to charitable organizations and causes. Mark Nason Los Angeles The collection originated in Italy with an exotic offering of boots and accessories inspired by iconic rock and roll of the seventies. In recent years, with Nason entering into Skechers as its head of product development, the designs of the Skechers sneakers in this collection are usually high-end with the brand evolving into Mark Nason Los Angeles as a subsidiary of Skechers with an expanded assortment of dress, casual and active Skechers sneaker styles for men and women. YOU by Skechers Expanding their footwear offerings for women, Skechers sneakers have diversified with health and wellness in mind as audiences have been looking for shoes that had their welfare in mind. The company combined lifestyle and wellness for a versatile, active, comfort, style and flexibility with the YOU by Skechers sneaker. The shoes usually involve soft woven mesh fabric and super flexible knit fabric upper in a slip-on, sporty walking and comfortable athletic shoe silhouette. Usually priced lower than most of its competitors, Skechers sneakers have been tagged by many as budget-friendly as most of its initial target customers are coming from younger and senior demographics from teenage girls and boys, young professionals, and seniors and retirees. Majority of shoes produced by Skechers are below $100 making them budget-friendly and affordable even for lower-income The company makes sure that Skechers sneakers are available to a wide range of consumers regardless of age, gender, and economic background. Usually, prices of some of its most popular like GO Run and GO Walk shoes start from as much as $50 to $90 only per pair. Skechers sneakers that are priced higher than $100 are usually those for particular purposes like golf shoes, and specialty running footwear for activities like a marathon, ultramarathon, and trail running. Some of these shoes include the GO Run Ultra, GO Meb, and GO Trail shoes. Celebrity culture has been instrumental to the growth in popularity of Skechers sneakers. In fact, from being an unknown brand in the 1990s, it went to capture the mainstream market particularly teens and women consumers because of their hip and unique advertisements featuring the likes of Britney Spears, Christina Aguilera, Carrie Underwood, Ashlee Simpson, Demi Lovato, Meghan Trainor, and Kim Kardashian. The early designs coming out of the California-based shoe company were utility-style pumps, boots and skate shoes intended for casual and streetwear for men, women, and children. Skechers also went into releasing performance shoes. But what helped the brand transition from being a newcomer to a significant player in footwear is their marketing strategy hinged on celebrity-driven sales and advertising. The company hired and spent heavily on advertising and marketing with popular singers like Britney Spears and Christina Aguilera wearing Skechers sneakers in print, television, and online advertisements. The current roster of celebrity product endorsees for Skechers’ lifestyle collections includes multi-platinum recording artist Camila Cabello, model and actress Kelly Brook, TV personality Brooke Burke-Charvet and Korean boy band EXO. Sports legends like David Ortiz, Tony Romo, Sugar Ray Leonard and Howie Long were also tapped to endorse lifestyle and performance shoes of the company. 5Gen. A highly responsive and lightweight midsole cushioning, 5Gen gives long distance protection by providing comfort and efficient energy return. Goga Max. Skechers’ latest insole technology delivers comfort by increasing cushioning for soft and effortless steps. The high rebound footbed energizes every step for a comfortable run. Goga Mat. It is a high rebound insole technology that provides extra support and cushioning. Goga Matrix. Utilized in the Skechers’ sneaker midsole or outsole, the Goga Matrix technology provides anatomically corrects arch support, flexibility, and shock absorption. Goga Pillars. These are underfoot-adaptive pillars that are shock absorbent and add cushioning in every step. Resalyte Power Pillar. A visible cushioning system that resembles pillars on the outsole, the Resalyte Power Pillar gives soft support system and adds to the overall comfort of the Skechers sneaker. Skech-Knit. Skech-Knit is a breathable material that offers foot comfort by keeping them dry and fresh enabling the runner to perform longer without feeling fatigue. The upper material is naturally flexible and easy on the skin and is often marked by seamless construction that removes with unnecessary stitching and overlays that weigh down the shoe. Skech-Air. An air-cushioned Skech-Air outsole comes in a translucent air pocket design to improve responsiveness and provide an extra bounce to every step of Skechers sneakers. Skech-Flex. It is a highly flexible shock absorbing lightweight outsole that guarantees versatility in performing a wide range of foot movement. Memory Foam. Memory Foam technology used in Skechers sneakers is concentrated in the insoles for a more personalized fit as the foam adheres to the contours of the feet. Air-Cooled Memory Foam. This type of Memory Foam enhances breathability while molding to the shape of the feet for all-day comfort. Gel-Infused Memory Foam. This type of Memory Foam offers ultimate comfort at the insole that relieves pressure and absorbs impact resulting in less foot fatigue. Skechers USA, Inc. was founded by father and son Robert and Michael Greenberg in 1992. With brand headquarters in Manhattan Beach in California, the company has reached more than $4.6 billion revenues after 25 years. The company is traded as SKX in the New York Stock Exchange, also employs more than 9,000 people in more than 503 locations where they are distributing, selling, and manufacturing worldwide Skechers sneakers and performance footwear and apparel. Before it became a multi-billion dollar brand, the company had its early beginnings in Los Angeles. Skechers was a latecomer in the shoe industry but has found a niche market in casual and lifestyle street shoes for women, men, and kids. Robert Greenberg was a co-founder of L.A. Gear, a once famous footwear and apparel maker of neon colored kicks for women in the early 1990s. L.A. Gear then yielded losses and Greenberg, and his son Michael were forced out of the company. The setback did not dampen the spirits of the father and son tandem as they embarked on building their own shoe company. Initially, the company was supposed to distribute Dr. Martens shoes, Greenberg decided that it would be better for business for them to focus on designing, developing and marketing his unique brand catering to the young and hip generation of the 1990s. To do this, they acquired two other brands, Cross Colours, and Karl Kani and later on developed their designs for Skechers sneakers introducing in 1993 the now iconic Chrome Dome. The shoes were a hit to the younger market that Skechers started aiming at the younger demographics. The Chrome Dome design features worn jeans and stonewashed looking aesthetic with a scuffed bottom with thick white outsoles that resemble the street boots popular at the time. The unisex look of the shoe also was a good booster to sales as it appealed to both sexes and became staple wear for the “grunge” youth of the 1990s. In 1995, the company, aside from selling Skechers sneakers, was ready to branch out by selling clothing and apparel targeting the same audience as the buyers of their shoes. The company signed licensing agreements with companies Genova Incorporated and Signal/American tops, shirts, and jeans that are sold in national department stores. In two years, in 1997, the company was doing well as sales of Skechers sneakers have started to pick up that they began expanding into overseas markets. That same year, the company began selling the shoes in Eastern Europe and Southeast Asia, where most of the shoes are made. In 1998, the company had more than 2000 retailers with accounts in Nordstrom, Woolworth, AMay Company, Dayton-Hudson, Foot Action, Finish Line, and Dillards. That same year, the company also began opening their stores selling Skechers sneakers and apparel. It was also during this year that the company expanded its women’s wear line with more than 900 shoes for women that included high platform kicks and boots that appeal to young women and teens. In April 1998, the company also revealed that it is now ready to venture into direct competition with leading companies like Nike and Reebok. To do this, they rented out a 54,000 square foot exhibit space at the World Congress Center in Atlanta previously occupied by Nike. The company used the area as their showcase ground for their flashy and hip designs for hip-hop, urban wear, and sports. The company also spent $2 million on models, dancers and light shows with models wearing new Skechers sneakers and designs. On June 9, 1999, the company was ready to go public with its Initial Public Offering of seven million shares worth $11 each at the New York Stock Exchange with its ticker symbol SKX. The IPO raised $88 million for the company with the Greenbergs still owning some 60 percent of the company. By the year 2000, the company’s sales of Skechers sneakers increased by as much as 59 percent over the previous year with the company gaining a foothold of the European market by opening retail stores in fashion capitals like Paris and London. In 2005, Skechers reported that it had reached $1 billion in sales. Its designer lines Michelle K and Mark Nason also proved popular that they were sold in high-end stores like Macy’s and Nordstrom. In 2007, the trade magazine Footwear Plus named Skechers as “Company of the Year” for the second consecutive year due to its incredible sales and gains. On May 29, 2017, the brand celebrated its 25th anniversary after being established in a beach house in Manhattan Beach, California. In honor of this milestone for the brand that started with a favorite logger boot design in the early 1990s, Skechers called the May 29th as #WorldSkechersDay, as they reached out across the globe share their stories and experiences with Skechers sneakers. Those who gave Skechers sneaker testimonials include athletes, fashion experts, family bloggers, and actors. These group of 25 individuals involved Sophie Geoffrion, Rudi Schmidt, Pietro Paschino, Weldon Kirui, Maisha Addai, Jose Madera, and Gerald Anderson among others. Reaching over $4.6 billion in sales in 2017, Skechers is known worldwide mainly for their performance and lifestyle footwear. With more than 3,000 Skechers sneakers designs for men, women, and children, the company owes its massive growth in the past three decades to its extensive retail channels of more than 2,600 stores worldwide and online sales. Skechers also enjoys popularity among those who embrace the Celebrity culture as the company early on strategized to include famous pop stars, celebrities, and athletes in their roster of Skechers sneaker endorsers to add hype and boost up sales. In 2015, Skechers was able to outrank Adidas in the US sports footwear market. By capturing some 5 percent of the US market, it rose to second place to Nike regarding sales due to the increase in demand for walking and fashionable casual sneakers. The rise of the Athleisure contributed mostly to the exponential growth and demand in Skechers sneakers. Despite some legal battles with brands like Nike and Adidas, Skechers has steadily grown since 2015 with a 29 percent increase in sales. In 2017, sales further soared with a 27 percent increase in sales as they breached the $4 billion record sales. Skechers CEO Robert Greenberg attributed the growth due to their continuing drive to efficiently improve sales and through innovation, comfort, and relevancy in their product designs particularly Skechers sneakers. In the United States, Skechers sneakers remained the No. 1 walking, work, casual lifestyle, and casual dress footwear brand, and the No. 2 casual athletic footwear brand. Beyond the United States, the company has Skechers sneaker retailers in 160 countries with an international network of subsidiaries in Europe, Japan, Canada Europe and Latin America, across Asia and the Middle East, and several other distributors. With thousands of Skechers sneakers in the market, we’ll help you find the right kicks for you as it could be a daunting task to sift through all the American company’s designs. How do you take care of your Skechers casual shoes? Caring for Skechers sneakers are vital for them to last for a long time. In keeping your Skechers sneaker clean smelling and fresh, apply a deodorizing spray to keep them fresh and odor-free. Refrain from exposing the inside of the shoe to dirty, wet and moist conditions because it is a breeding ground for bacteria causing the odor to build-up over time. Use a small brush or towel to remove excess dirt from the upper and outsole. Dust off soil and use the brush to remove particles stuck in overlays in the top. Use the towel to wipe off dirt evenly on delicate surfaces of your Skechers sneaker. Mix laundry detergent with small drops of warm water to create a thick soapy mixture. Dip the brush or cloth into the soap mixture and gently scrub affected the area. Use the brush or cloth to rinse off the soap mixture by using clean, warm water. Continue rinsing or wiping off with water until dirt is removed from your Skechers sneaker. Allow shoes to air dry. Do not dry under the sun as leather and other synthetic materials in the upper may damage your Skechers sneaker. Where can I buy Skechers casual kicks? Skechers sneakers can be bought in physical and online stores. Skechers shoes are available in the department, specialty and independent stores, as well as through more than 2,600 Skechers retail stores and online at skechers.com. Beyond the United States, Skechers sneakers are available in more than 160 countries and territories through an international network of subsidiaries in Canada, Japan, Europe and Latin America, joint ventures in Asia and the Middle East, and distributors around the world. How durable is the average pair of Skechers sneakers? Skechers shoes are thoroughly tested for quality and on average lasts around 6000 kilometers of use or some 3 to 4 years of regular use especially for performance running kicks. But more than the miles logged in each shoe, Skechers shoes has been reaping awards in the performance shoes particularly in running kicks including awards as Most Innovative Running Shoe for the GO Run. It has also been judged Footwear Brand of the Year at the Footwear Industry Awards in London. While the majority of Skechers sneakers are not athletic shoes, most footwear produced by the American brand is durable casual, walking, and running shoes that are lightweight, comfortable, and relatively functional for the average sneakerhead that can last for a year or two without significant damage. How much do sneakers from Skechers usually cost? Most sneakers manufactured by Skechers are usually priced below $100 making them budget-friendly and affordable even for lower-income demographics. The reason for this low price is that Skechers has focused on coming up with sneakers that are similar to high-end models from other brands. The company makes sure that Skechers sneakers are available to a wide range of consumers regardless of age, gender, and economic background. Usually, prices of some of its most popular like GO Run and GO Walk shoes start from as much as $50 to $90 only per pair. Skechers sneakers that are priced higher than $100 are usually those for particular purposes like golf shoes, and performance running footwear for activities like a marathon, ultramarathon, and trail running. Some of these shoes include the GO Run Ultra, GO Meb, and GO Trail shoes. Where is the company headquarters of Skechers? Skechers main headquarters is in Manhattan Beach, California where the company started its design and marketing activities in a beach house owned by Robert Greenberg in 1992. The head office has since grown and evolved into a facility that showcases the best practices in design and manufacturing of the company. Where does Skechers manufacture sneakers? With its in-house design team, Skechers has been at the helm of creating trendy casual sneakers that many of its young followers patronize. However, despite keeping control of the design, the second largest US footwear company does not own or operate any factories to conduct its manufacturing. Skechers outsources its manufacturing and production activities to independent contractors mostly in factories in Vietnam and China. According to the company, this enables them to meet higher production capacity, meet customer demands, and lower capital expenses while providing greater flexibility to their manufacturing and production operations. What is the difference between GOrun and GOwalk shoes? Skechers performance line has grown over the years while offering shoes made for running and for walking. Skechers GOrun is the company’s collection of the next generation running shoes that are designed for speed using only innovative performance technologies to reach the optimum running experience while offering to cushion and impact protection for long smooth runs without any hitch. Skechers GOwalk is the company’s ultimate collection of performance walking shoes. Designed to make walking comfortable, the durable Skechers sneakers has a trendy and casual style while using the latest technological innovation to offer comfort and cushioning. What is the difference between Air-Cooled Memory Foam and Gel-Infused Memory Foam in Skechers sneakers? The Skechers Memory Foam as a cushioning or insole material has been used in thousands of shoe designs of the company. The signature Memory Foam technology used in many Skechers sneakers comes in two forms. Skechers uses Air-Cooled Memory Foam for enhanced breathability while Gel-Infused Memory Foam is used in shoes that need better cushioning and support. Skechers sneakers that use Air-cooled Memory Foam in the insoles include Skechers D’Lites, Ultra Flex, Empire, Air Extreme, and Stretch Fit. Skechers use Gel-Infused Memory Foam in some shoes that include Skechers Skech-Air Infinity, Equalizer, and Arcade sneakers. How do I get a perfect fit with my Skechers sneakers? Finding the perfect fitting Skechers sneakers can be overwhelming at the onset. But Skechers has made it an easy and straightforward task. There are multiple options and knowing that every foot is unique, offering shoes in a whole lot of size and width options is the company’s answer in getting customers to find the perfect Skechers sneaker that fit them. To maximize the comfortable fit of wearing Skechers sneakers, the brand has shoes in several fits from classic, relaxed, wide to extra wide fit. Classic Fit is intended for those with traditional fit requirements, it has a medium width, D for men and B for women, with a snug and even fit from heel to toe. Relaxed Fit is made for those who want a roomier toe in their Skechers sneaker while retaining a medium fit in the heel; the Relaxed Fit has a medium D/E width for men and B/C width for women. How do you distinguish Wide Width vs. Extra Wide Width? Skechers also offer shoes on Wide and Extra Wide Fit. For those looking for a Skechers sneaker with loose fitting over the entire shoe, the Wide Fit option is the answer. On the box, this can be distinguished by the EW width marking. The Wide Fit shoes have a 2E and 3E width for men and D width for women. Meanwhile, Extra Wide Fit is intended for those looking for an even loose fit all over their Skechers sneaker; the Extra Wide Fit gives enough room and space for the feet to move inside the footwear for maximum comfort. The Extra Wide Fit Skechers sneaker has a 2E or 3E width for men and D width for women.On the shoe box, Extra Wide Width can be distinguished by an EWW marking on the width specification. How comfortable are Relaxed Fit Skechers casual sneakers? Sometimes getting a snug fit in the toe area can get uncomfortable. Some customers wanted more room and space for their Skechers sneakers. To address this comfort issue, Skechers sneakers were made with an option for a Relaxed Fit. The Relaxed Fit shoes are made for those who want an extra room in the toe area while maintaining the snug fitting at the heel area. In the Relaxed Fit option, a medium heel fitting is retained for a solid base while letting the toes breathe and move freely in the wider toe box. Who are the current celebrity Brand Ambassadors of Skechers lifestyle shoes? Since its early years in the 1990s, Skechers has embraced the Hollywood culture by hiring celebrities as brand ambassadors. Pop superstars Britney Spears and Christina Aguilera once donned Skechers sneakers making them fashionable especially to young girls and teens. The current roster of product endorsers includes chart-topping and multi-platinum recording star Camila Cabello, model and actress Kelly Brook, TV personality Brooke Burke-Charvet, and athletic legends like David Ortiz, Tony Romo, Sugar Ray Leonard and Howie Long for the lifestyle collection of Skechers sneakers. Korean boy band EXO, rapper Zico, and girl groups Sister and Red Velvet have also endorsed the brand through Skechers Korea. Where did the Skechers name come from and what is their official logo? The signature S logo is Skechers main identifying mark. Skechers is the street slang for a person who can't sit still was suggested by Joshua Greenberg, company founder Robert Greenberg’s youngest son and now a Skechers vice president who designs men's sneakers. What other products do Skechers sell aside from sneakers? Aside from Skechers sneakers and performance footwear, the company also sell women’s and men’s apparel that include tops and bottoms, and golf apparel. The California-based company also sells accessories to pair with footwear that includes sunglasses, socks., bags, hats, shoe care products, watches, and sporting goods. What charities and causes are being helped when buying Skechers BOBS? The Skechers BOBS collection help children in need and help dogs and cats by partnering with Best Friends Animal Society. When you buy a pair of BOBS, Skechers donates another pair to a child in need. For each pair of specially packaged BOBS from Skechers sold in the United States, twenty-five cents is donated to Best Friends to help save the lives of dogs and cats in America's shelters. How do I clean my Skechers sneakers? Should I consider materials used in the sneaker? Nylon/Mesh Shoes. Majority of non-leather casual Skechers Sneakers can be safely machine washed on the gentle cycle and air-dried. However, it is not advised to place shoes in the dryer. Do not machine wash light-up shoes. For sneakers with Skechers Memory Foam insoles, allow the shoes and insoles to air dry for 10 to 12 hours to ensure that the insoles are thoroughly dry. Leather Shoes. Apply a protectant on the shoes to shield your Skechers sneakers from water damage and stains before wearing them in wet conditions. Use a leather cleaning spray or lotion to clean the areas exposed to water. Maintain the supple quality of the leather by applying cream or oil periodically. Suede or Nubuck Shoes. Use a protectant or lotion to protect the shoes from water and stains before wearing them in wet conditions. Use a suede or nubuck cleaning product to clean your Skechers sneaker by brushing with a suede brush to get the best results. Do not machine wash your suede or nubuck Skechers sneaker. Light-Up Shoes. Do not machine wash light-up shoes as it may damage the lights. Chargeable Skechers sneakers are cleaned by just wiping accumulated dirt and dust off the surface of the upper. Clean your Light-Up Skechers sneakers using a soft damp cloth with mild soap and warm water making sure not to drench the shoe and only wipe off gently affected the surface.